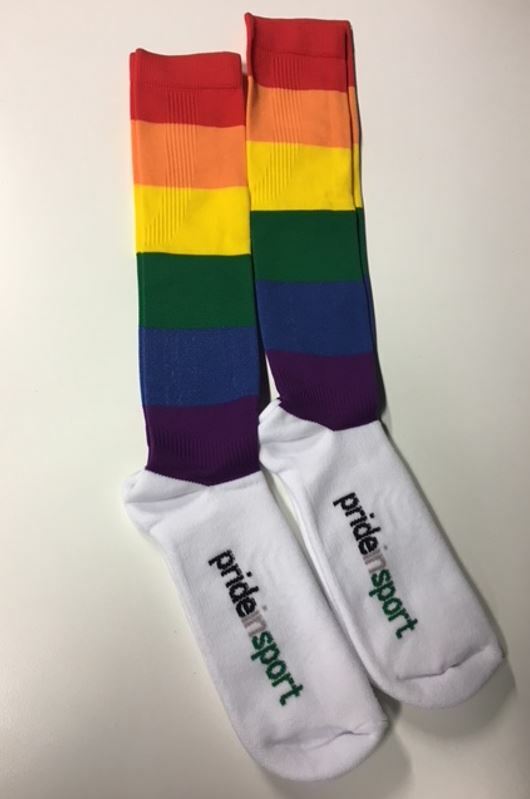 These fabulous rainbow sport socks with light compression are designed to complement your LGBTI inclusion initiatives, both on and off the field! One size fits most. Member organisations can co-brand Pride in Sport inclusion merchandise. For more information and pricing, please call 02 9206 2139. As a not-for-profit organisation, these products are not only designed to support your inclusion initiatives, but double-up as a fundraiser, the profits from which directly support the ongoing work of Pride in Sport and LGBTI inclusion initiatives within Australian sporting organisations.